Game Informer has released a coverage trailer for their December Issue, showcasing new Quantum Break gameplay footage. Yesterday, gaming magazine and website Game Informer revealed their Quantum Break cover for their December issue. Alongside the reveal, the Game Informer released a new trailer that shows off new gameplay for the upcoming Quantum Break. Remedy has a history of creating story-focused action games that play with television’s storytelling format. 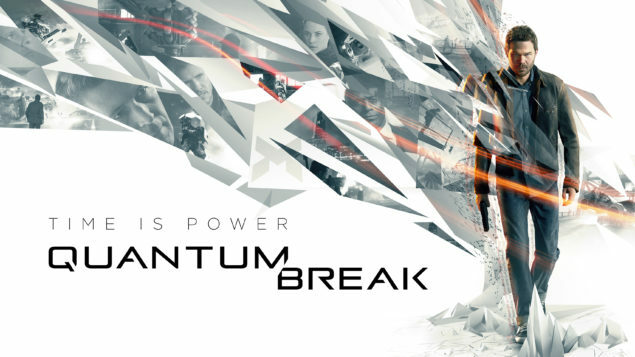 With Quantum Break, the studio has gone all out, creating a professional-quality, live-action show that will be bundled with the game. The process hasn’t been easy, but for a studio looking to rewrite the rules of video game storytelling, Remedy wasn’t expecting anything less. Since the game’s announcement in 2013, we’ve seen bits and pieces about the game and its show, but in this issue of Game Informer we finally explain how both pieces fit together and break down exactly what players can expect from the final product. The time bending Xbox One exclusive was announced during Microsoft’s Xbox One reveal event in 2013, and is being developed by Remedy Entertainment. Remedy is of course known for titles as Max Payne and Alan Wake. During Gamescom 2015, Remedy released a new demo which detailed some of the game’s time manipulation abilities. For those who haven’t seen this demo, check it out below. At the Siggraph 2015 event, Remedy held a presentation in which the Finnish developer revealed that they were aiming for a final resolution and framerate of 1080P and 30FPS. We thank our fans for their patience, and want them to know that the team is taking advantage of this opportunity to polish and fine tune the game to create the kind of standout entertainment experience they’ve come to expect from us. The Xbox One exclusive is now scheduled for a release on April 5th, 2016.